These ones are by the talented Anne Smith (as seen here). what a great find! I'm obsessed with maps too (in all forms.) 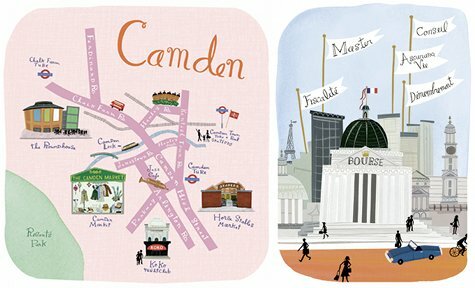 how fun to have a colorful illustrated map of one of your favorite places. Love, love, love! If there were one of my hometown, I'd buy it in a second. i love these. they're just a little different and totally bring the whimsy! so so beautiful. and i love wedding invites that include maps on them, too! 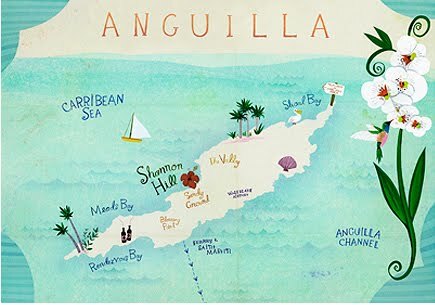 this really gets me thinking about making an illustrated map for panama, i don't think we have one... ohhh what a great idea for a project. thanks for the inspiration alli! Those illustrations look fanastic! And what a great idea to print them out and frame them!